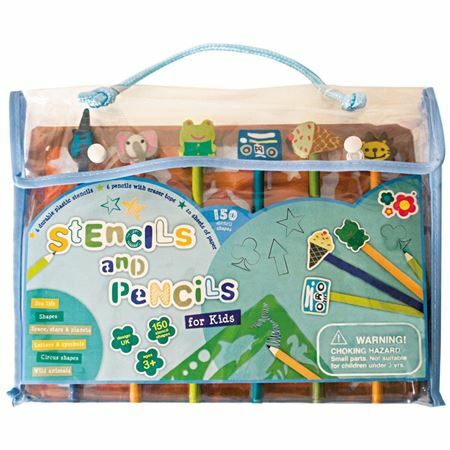 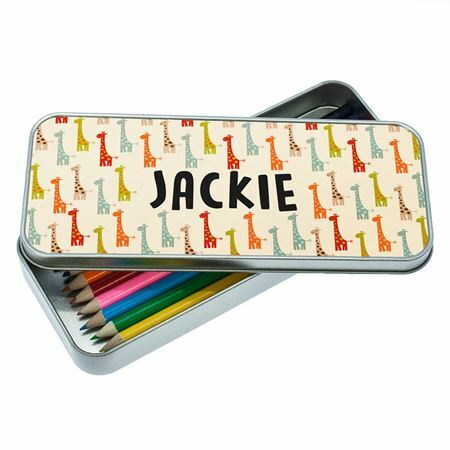 Get arty with a bumper set of stencils and pencils, all packed into a practical see-thru portable storage bag. 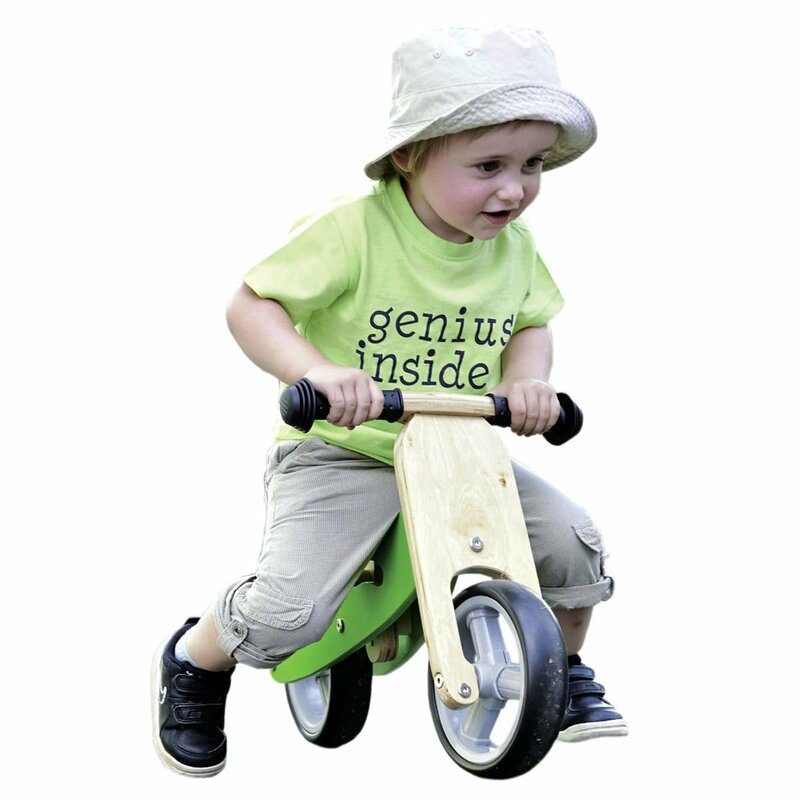 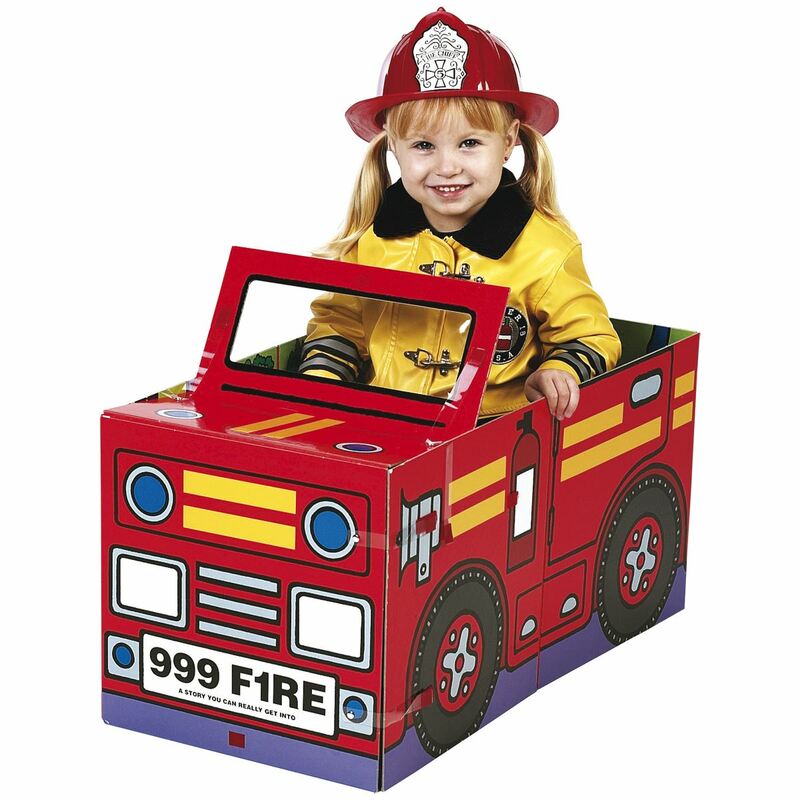 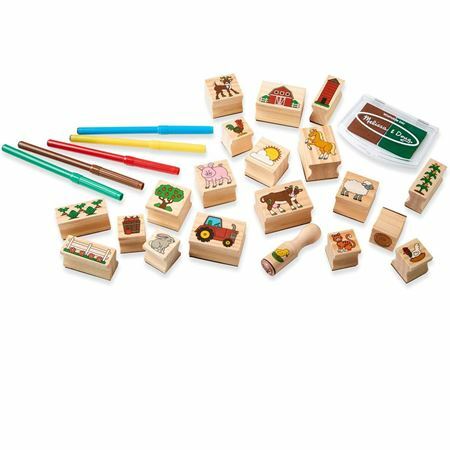 Each set contains a super assortment of 150 sturdy plastic stencils, 6 pencils topped with 3D themed erasers and 20 sheets of paper. 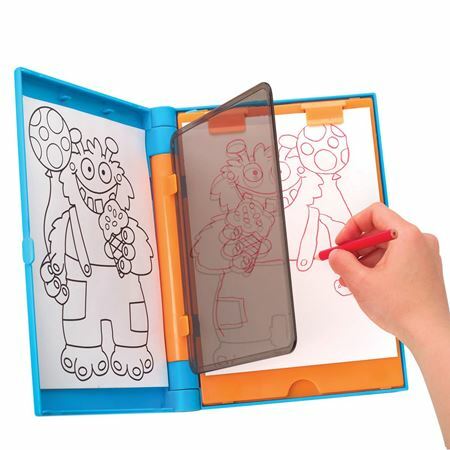 The handy trifold container, 30 x 21cms, (opening to 72 cms) has different pockets to organise everything and is perfect for rainy days at home, travelling, holidays etc. 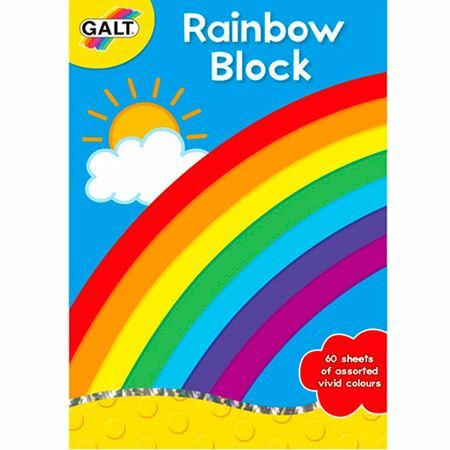 You’ll wonder how you ever managed without one! 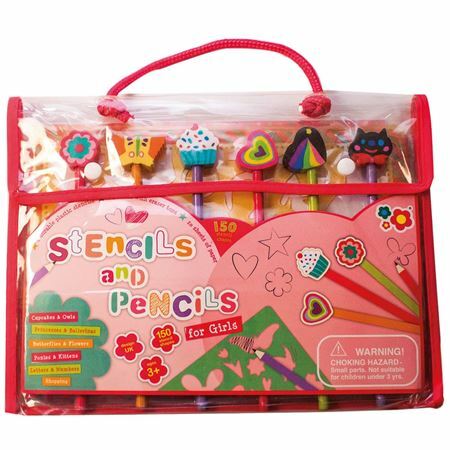 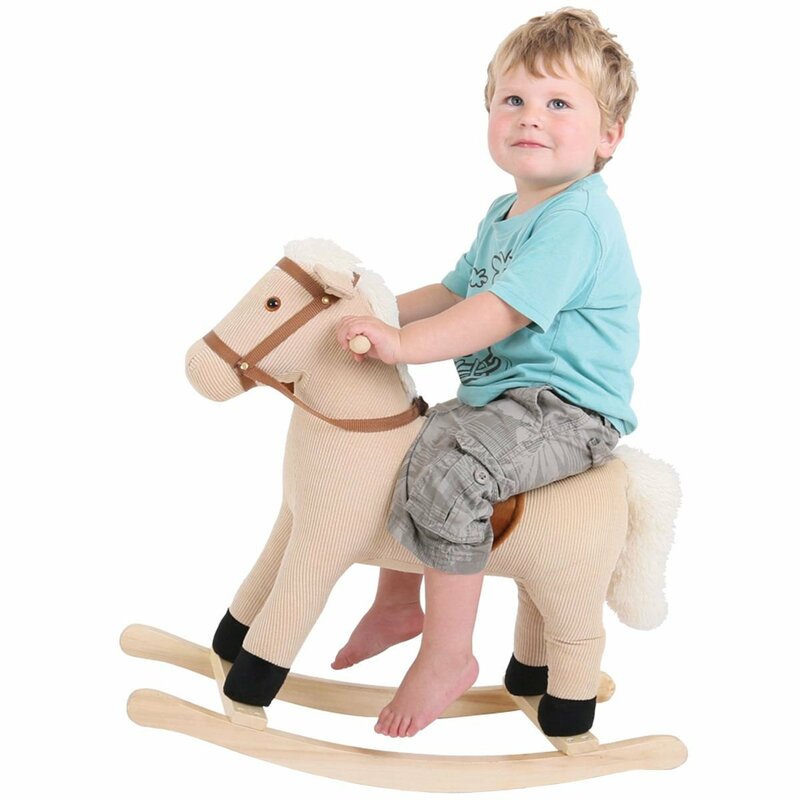 Pink includes stencil sets featuring dancers, ponies, butterflies, flowers and lots more! 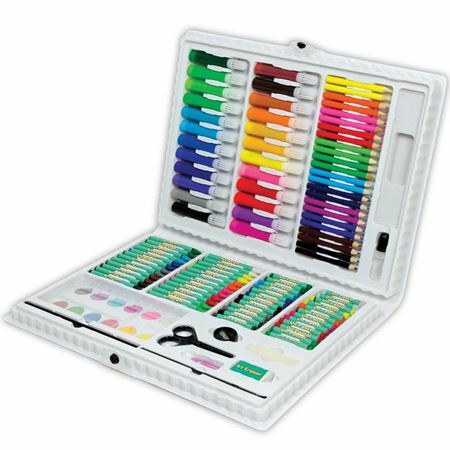 Fantastic 120 piece Art Set. 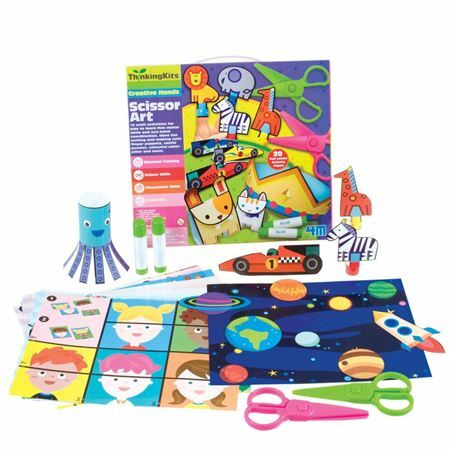 Creative kit for children to practice their scissor skills with 15 different craft activities.